On Wed. 24th January, the Partridge family received their home at 31 Pine Brook Drive. 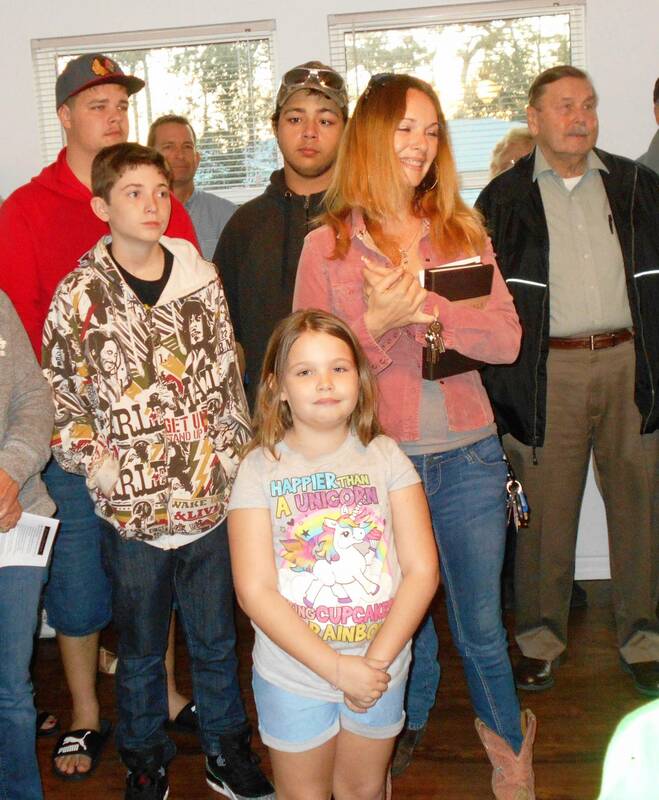 Mom, Jasmine, and her daughter Cal Sunshine, and sons Raymond and Hayden, received their keys and bible among a record breaking crowd of volunteers, staff and friends . Their pastor , Rev. Rick Lawless led the dedication ceremony, and ladies of The Well Church, Pelican Bay, put on quite a spread for the guests.